From deep discounts to one-click ordering, many consumers are going digital this holiday shopping season. But buyer beware: With the ease of online shopping comes the added step of protecting your personal information. Fortunately, the University of Central Florida’s two-time national champion cyber defense club, Hack@UCF, wants to help you shop safely and securely this holiday season. “It’s important to protect yourself online because a lot of your personal information is now digitally accessible,” said Mark Ignacio, a computer science major who serves as president of Hack@UCF, also known as the Collegiate Cyber Defense Club @ UCF. In anticipation of two of the biggest holiday shopping days of the year, retailers unleashed their Black Friday and Cyber Monday deals weeks before Thanksgiving. And with stores like Amazon and Wal-Mart going head-to-head for your business, the deals are often just as good online as they are in store, leaving many to opt for online shopping to avoid the crowds. “Now that it’s faster and more convenient to use your information for good things like paying bills and renewing a passport online, it’s also easier, faster and more convenient for criminals to get that information,” Ignacio said. Gaelan Adams, an information technology major and Hack@UCF spokesman, knows all too well what it’s like to have your credit card compromised. Last year, just four hours after making a purchase from a major tech retailer, the company was hacked. The National Retail Federation (NRF) predicts that Americans plan to do almost half of their holiday shopping online this year with profits expecting to hit almost $105 billion. Adams says hackers are on high-alert during the high-traffic shopping season, looking for any way to access your personal information. Both Adams and Ignacio agree that trusting your gut is the best thing you can do to protect yourself when online shopping. 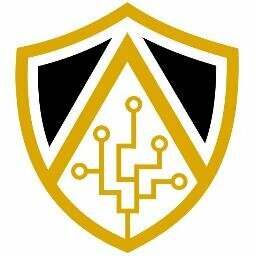 Hack@UCF hosts information security awareness meetings that are open to the public every Friday in from 4:30 – 6:30 p.m., and the students often speak at conferences and local high schools to boost information security awareness not just at UCF, but in the community. Make sure your browser, software, and apps are up-to-date. Double check that your computer browser is running the latest version so it includes the most recent security measures. The same goes for cell phone apps. Take the extra step and install anti-virus or malware software for an added level of protection. Be sure your transaction is encrypted. When on the checkout screen, be sure the URL in your internet browser starts with “HTTPS” and/or look for a lock. This is an industry standard required for any retailer that processes credit cards. Monitor your credit card and bank statements closely. While your bank may provide anti-fraud protection, it’s important to remain vigilant when reviewing credit card and bank statements. During the holiday season, consumers do not typically follow their normal spending habits. Any purchases that appear out of the ordinary may not be picked up by anti-fraud protection because banks may attribute this to purchasing holiday gifts. Do not buy anything from a shared computer. Storing credit card number, name, address and other personal information on a shared computer means anyone who has access to the computer has access to your personal information. Do not use your debit card online. If your debit card information is stolen, it’s likely the person will try to empty your checking account. When credit cards are compromised, banks reverse bad transactions and will send you a new card. Heed all browser warnings. If your computer browser or phone notifies you that a website is not secure, do not proceed and close the browser immediately. Do not use any public wifi connection. Unsecured, open wireless connections may be convenient, but they are dangerous. If you do not have to type a password to connect to the wireless network, you shouldn’t do anything important on it, like make purchases with a credit card. If a deal sounds too good to be true, it probably is. If you’re unsure whether the deal is legitimate, ask friends and family for confirmation. Many scams rely on a lapse in common sense. Be wary of typing your credit card number into a website you have never heard of. If you have concerns about shopping at an e-commerce website and you are sure it is not a scam, opt to use an alternative payment method like PayPal, Amazon Payments or Google wallets. If you don’t use a credit card, it can’t be compromised. Feel comfortable shopping at large online retailers. Major online shopping e-commerce companies like Amazon, eBay and Newegg generally have it together when it comes to security and reliability of transactions.